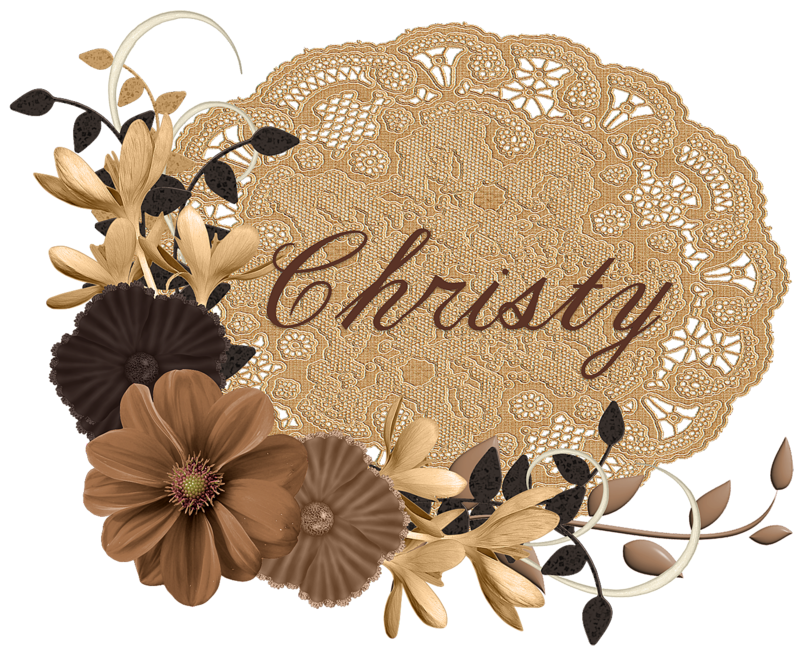 Create With Christy: 2018 Year-End Closeouts AND Stamparatus Bag Available NOW! 2018 Year-End Closeouts AND Stamparatus Bag Available NOW! The Year-End Closeout is Stampin' Up! 's chance to do a little inventory cleaning—and YOUR opportunity to take advantage of special year-end deals on retiring and surplus items! 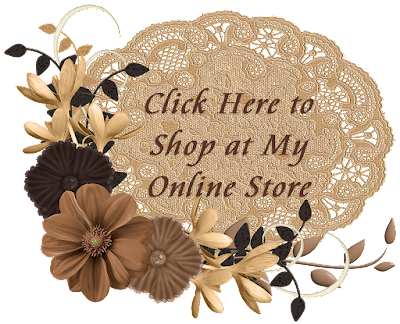 There are so many wonderful products retiring from the Holiday Catalog, and I know you don't want to miss out! 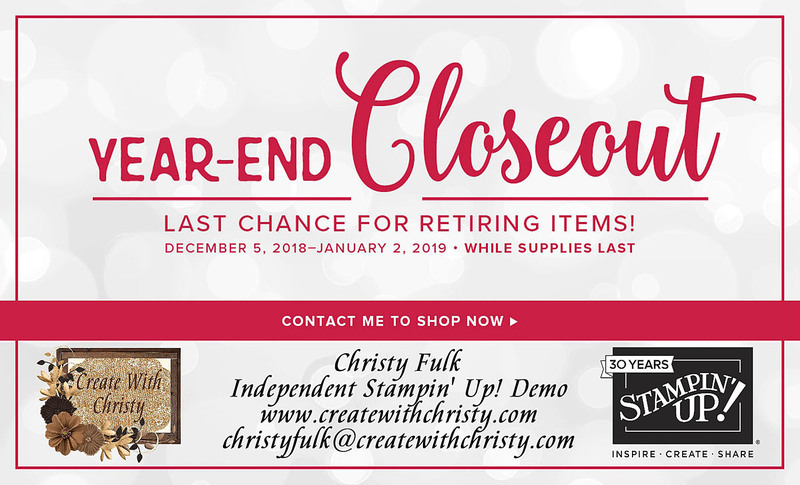 Some of the discounted items are from the Annual Catalog, too...These are not retiring, but the discount is only while supplies last or until January 2, 2019. I'm sure there are some items on the list you've been wanting, and THIS IS YOUR LAST CHANCE TO GET THEM! As you can see in the picture above, these items are only AVAILABLE WHILE SUPPLIES LAST OR UNTIL JANUARY 2, 2019... WHICHEVER COMES FIRST! 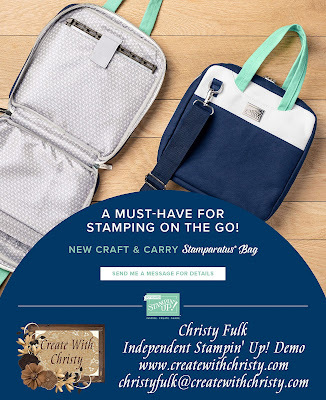 The Craft & Carry Stamparatus Bag is Here! 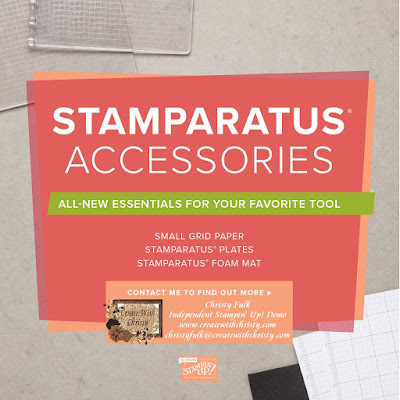 A tool as beloved and important as the Stamparatus deserves its own special treatment, and what better way to treat your most versatile stamping companion than by giving it its own special carrying and storage solution. Introducing the Craft & Carry Stamparatus Bag! It’s finally here! I have mine, and I absolutely LOVE it! You won't believe the high quality of this bag! Those of you that came to my house last week know what I mean! Don't Own the Stamparatus Yet? DON'T FORGET TO USE THIS MONTH'S HOST CODE! Collect Doilies to Earn a $50 Shopping Spree on Me! Click the Doily Rewards December Host Code Picture Below to Find Out How.